June Lake is located on the south side of Mt. St. Helen’s, Washington and to get there it’s an easy 1.5 mile hike. 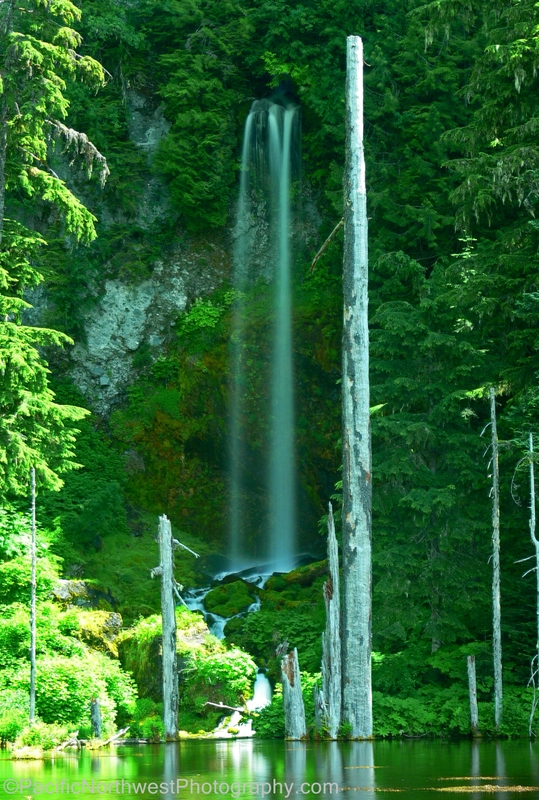 However, the drive to the trail head is about a half day of driving if you’re coming from Portland, Oregon. You would be advised to bring lots of food and just plan on barbecuing your dinner at the small park located at the trail head. If you’re interested in an amazing hiking trip you will want to continue past June Lake and hike along the razor sharp lava covered trail. There are actually dozens of trails that you can choose from so you will want to bring a trail book or study the hiking maps located along the trail. You can even hike to the swift glacier and hike as far as you can until you get too tired to continue any further. The south side of the mountain looks much different from the north side. There are no signs on the south side of Mt. St. Helen’s that it ever even erupted but you will truly be amazed by the beauty and endless amounts of options available. Most people that choose to summit the mountain, in winter, start from near the June Lake trail head. However, even in summer you can hike towards the summit and pass several places of interest along the way. There are several additional water falls, lava flows, canyons, lava tunnels and beautiful alpine flowers that dot the landscape. Because the lava rocks are so sharp, I would think twice about bringing your dog with you on this trip. A dog’s pads could end up getting cut to shreds almost anywhere along this part of the trail. I would even recommend bringing a small first aid kit with lots of band aids since it’s pretty easy to brush up against the lava rocks and end up with a pretty deep cut. However, there are other hiking trails near by that don’t pass through the lava fields if you want to hike with your best friend. You will just want to study the trail maps before you head out. I’ve visited several times to snow shoe during winter and that can even be a better time to visit. Once you get to a high enough elevation you will have an awesome view of Mt. Adams and Mt. Hood. [/caption] The calm between storms! 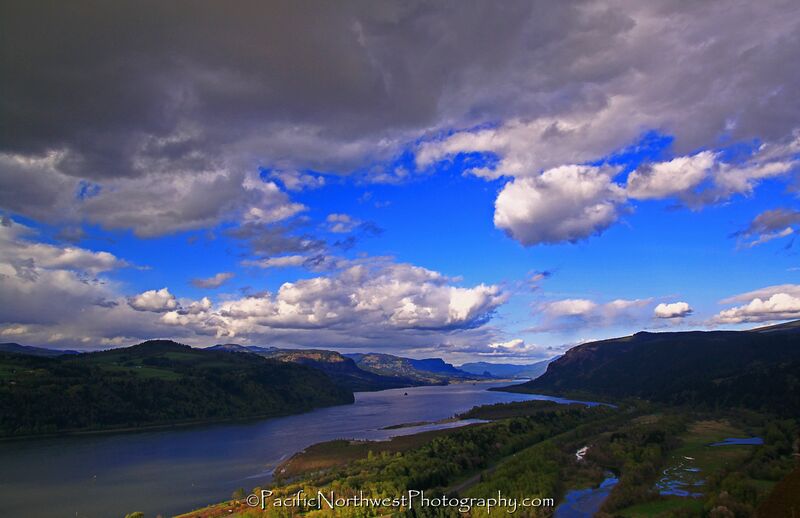 This photo was taken on the Oregon side of the Columbia River Gorge with Washington State across the river. It had snowed earlier in the morning in the foothills of the Cascades but the skies finally broke and some blue sky arrived but only long enough to feature some pretty enormous clouds coming in from the north. With fall almost over, you many want to get out to the gorge in order to take advantage of some awesome photos and some even more awesome weather watching! Most of the vegetation has now gone dormant, near the waterfalls but there are millions of leaves that create a pretty nice photo opportunity. Winter in the Washington State foothills of the Cascade mountains! [/caption] Winter has finally arrived in the Pacific Northwest and the early snow fall really pounded the mountains in the Cascades. The snow even reached the western foothills of Washington State and Oregon. 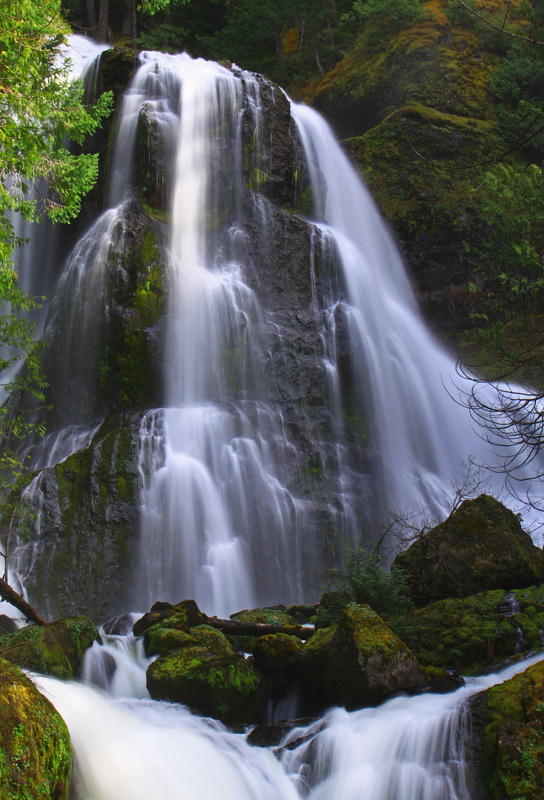 I took this shot from the Women’s Forum near the Vista House on the Oregon side of the Columbia River Gorge. I had to stand on the concrete part of the viewing platform in order to stand above the trees and I wasn’t able to use a tripod. You just want to make sure that you have a telephoto and keep a steady hand as well as turn on the IS to avoid any camera shake or blur.